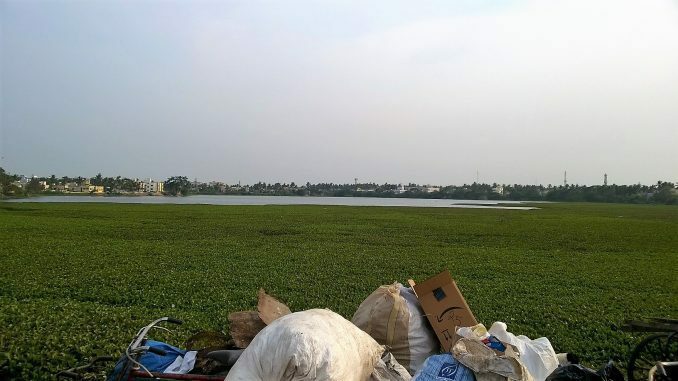 It was recently announced that Care Earth Trust, in association with Nature Conservancy India and IIT-Madras, is in talks with the government agencies and stakeholders to bring back life in Sembakkam lake. As the preliminary work to restore the lake begins, members of Sarvamangala Nagar Association in Chitlapakkam met Jayashree Venkatesan of Care Earth Trust recently for assistance to the neighbourhood in rejunevating Chitlapakkam lake. Organisations such as these, representing citizens from various parts of Chitlapakkam and Sembakkam, are regularly engaged in dialogues and discussion with the Public Works Department, Revenue Administration, Disaster Management and Mitigation Department, Chennai Smart Cities Ltd.; Greater Chennai Corporation, Municipal Administration and Water Supply and Chennai Metro Water Supply & Sewerage Board. Besides the long standing concerns over the neglect of Chitlapakkam and Sembakkam lakes, a slew of issues ranging from water woes to poor infrastructure were also discussed with representatives of Care Earth Trust. In the 1990s, ground water was available within just three feet of the surface at Chitlapakkam and surroundings of Sembakkam lake. Now the situation is such that borewells have to be dug beyond 300 feet to meet the area’s water need. The suburb has been suffering the wrath of floods and battling water crisis every year due to poor urban planning. 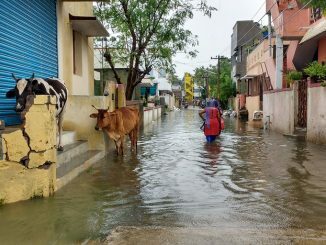 Water from the Selaiyur lake floods Chitlapakkam residential areas during the rainy season. In the past, this water would have recharged Chitlapakkam and Sembakkam lakes, but now the water storage capacity of these two lakes is so severely compromised, that drought has become the new normal. Inadequate supply of drinking water aggravates the crisis. The Tamil Nadu Water Supply and Drainage Board (TWAD) supplies only 9 lakh litre per day to the Chitlapakkam Town Panchayat, for a population of 37906 as per the 2011 census report. However, the current population must be in excess of 60,000. As per Government norms, the town Panchayat must supply 70 litres of water per day per person. The current supply, even when calculated as per the 2011 census, is 23.74 litre per person per day. Now that the population has grown to beyond 60,000, in effect, only 15 litres of water is being supplied to a person in Chitlapakkam and Sembakkam. Water from the Palar river is supplied to Chitlapakkam residents through taps only once in 15 days. 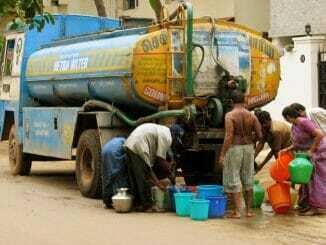 Residents of Chitlapakkam have therefore been requesting drinking water supply from Chembarambakkam lake. In December 2017, the count of total tax-assessed houses stood at around 10,112. Drinking water connections, however, have been provided only to 2444 houses. Underground drainage network is still a major concern in Chitlapakkam Town Panchayat and Sembakkam Municipality. The contamination of water bodies with sewage through storm water drains has reached alarming proportions. While Pallavaram Municipality and parts of Tambaram Municipality enjoy the benefits of the UGD scheme, residents of Chitlapakkam and Sembakkam are forced to spend money on septic tankers to clear the sewage. But it is a well-known fact that a majority of these tankers merely deposit the sewage in waterbodies around the city. It is an open secret that garbage is dumped in Chitlapakkam and Sembakkam lakes. 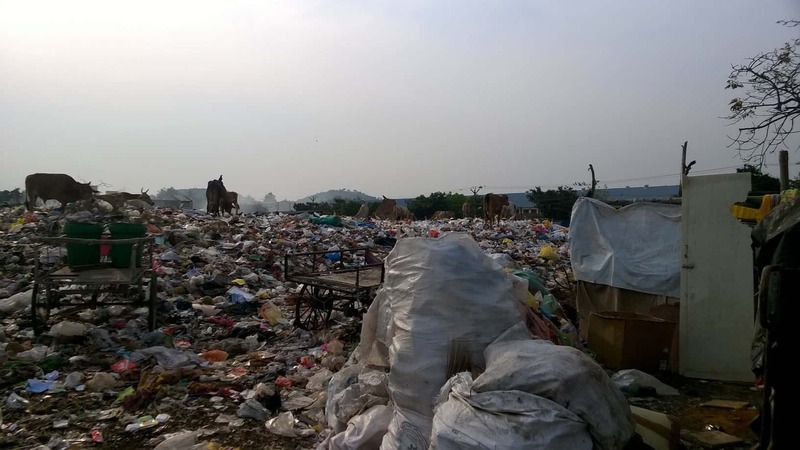 Biomining of this garbage which was taken up by the Sembakkam Municipality can be completed soon, provided the capacity of the equipment is increased. A few days ago, a garbage biomining machine of low capacity was installed in Chitlapakkam Town Panchayat. It will take more than two years for the biomining of the accumulated garbage to be completed with machines of this capacity. Biomining machines of greater capacity must be installed to clear the lakes, as they stand now. Flood mitigation plan for South Chennai estimated around Rs.1200 crore must put to work. Cut-and-Cover Drains from Selaiyur to Sembakkam lakes, estimated to cost around Rs.96 crore, must be constructed along the Tambaram – Velachery Road so that the surplus rain water is drained and stored in Sembakkam Lake. This will also prevent flooding of Chitlapakkam Residential Areas. These would lead to the retention of surplus rain water in all lakes, which in turn would prevent the flooding of residential areas and minimise the discharge of rain water into the sea. P Viswanathan is the convenor of the Chitlapakkam Residents Associations Coordination Committee.